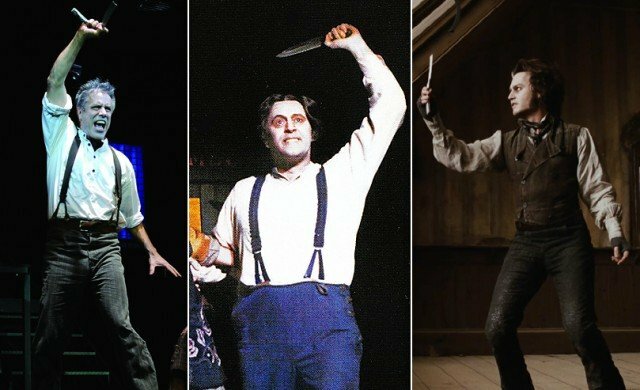 For a serial killer, Sweeney Todd is an astonishingly sympathetic character. Perhaps it is that the audience sees so clearly how much pain he’s in, reeling from fifteen years of wrongful exile only to come home, after nearly drowning, to discover that his wife was brutally raped and his only child (a year old at the time) was kidnapped and adopted by the very man who raped her mother and sentenced her father to transportation. Still, the depth of Sweeney’s obsession with revenge is staggering. Sweeney has an all-consuming focus that drives every decision he makes. He is a man who is deeply and permanently unsettled; a man whose appetite for vengeance is boundless.